These are lovely, Alex! I especially like the blue and white SOI viscose fabric. 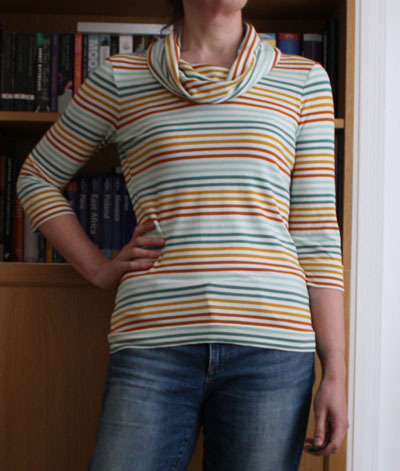 I have the Renfrew pattern tucked away, and I’ve made a few with the scoop neck but never the cowl neck version. And now I have no idea why I haven’t tried it yet – clearly I should. Thanks Janet! 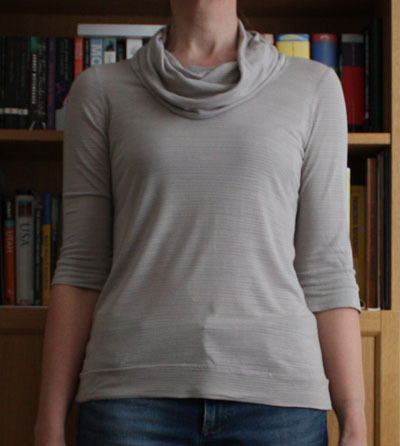 The cowl neck is certainly worth a try, takes a bit more fabric but is also flattering. What a great collection of Renfrews! My favourite is the purple one. 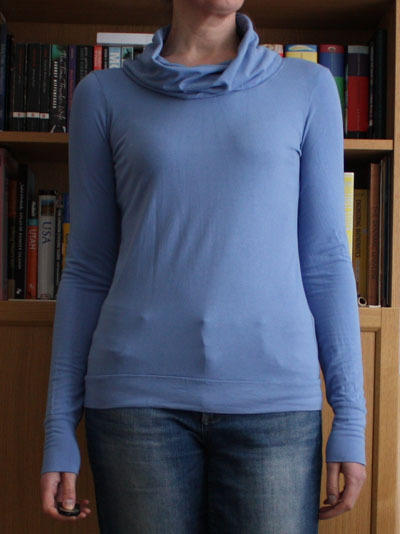 You may need to hold off wearing the 3/4 sleeve versions for a while as the weather seems to have taken a cold turn here in London hasn’t it?! 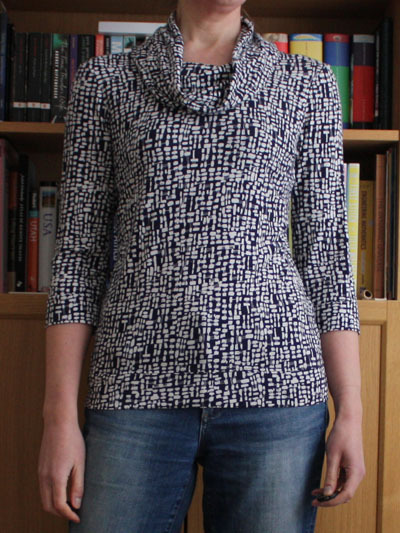 Great to see you blogging again and what wonderful, beautifully made tops too. Thanks Caroline! 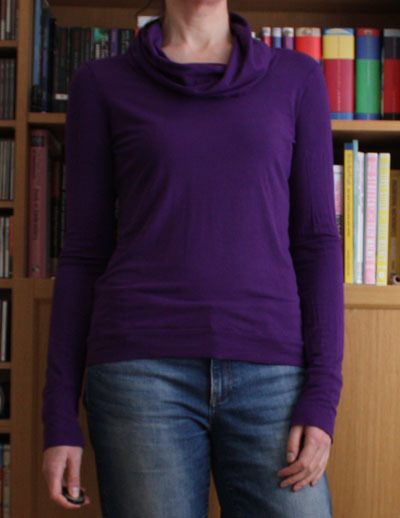 Yes, the 3/4 sleeve versions are not getting much wear yet, I’m snuggled up a big jumper at the moment! Fingers crossed warmer days aren’t too far away.